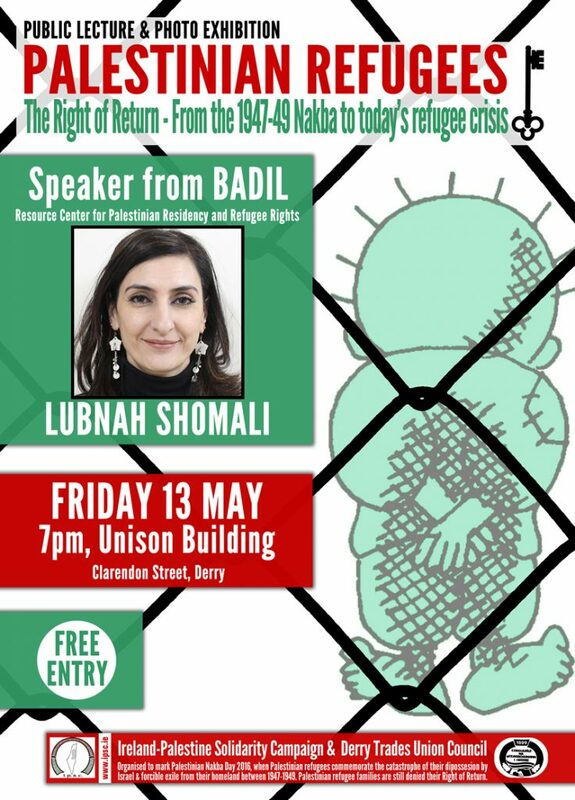 To mark Nakba Day 2016 the Ireland-Palestine Solidarity Campaign and Derry Trades Union Council are honoured to present Lubna Shomali from BADIL , Resource Center for Palestinian Residency and Refugee Rights. 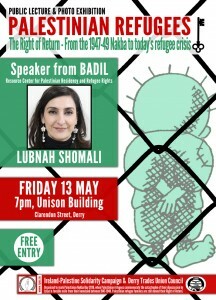 She will speak on Friday 13th May in the UNISON Building, Clarendon Street, Derry at 7pm. There will also be an exhibition of photographs.